I don’t know about you, but when it is this hot, especially this heatwave, I can’t wear sleeves or cover my legs. However, I won’t do shorts or scrappy vests (nothing wrong with this but you have to be a bean pole) – it has to be a dress. There is something wonderfully freeing about the sun shining that makes you forget your foibles and just get it all out. That’s until the sun goes down and all of a sudden I feel a bit self conscious flashing my bingo wings in a strappy vest and showing off my thread veins to all and sundry in a short dress. So, what to wear to stay confident the whole day? I have found a few bits that look and feel cool without flashing too much flesh. 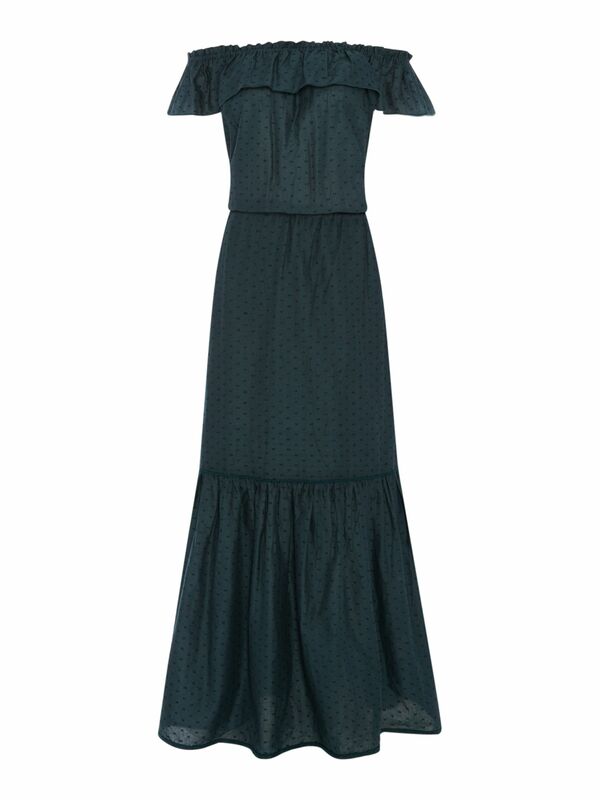 An off shoulder dress is universally flattering and this long length maxi will hide any cankles. 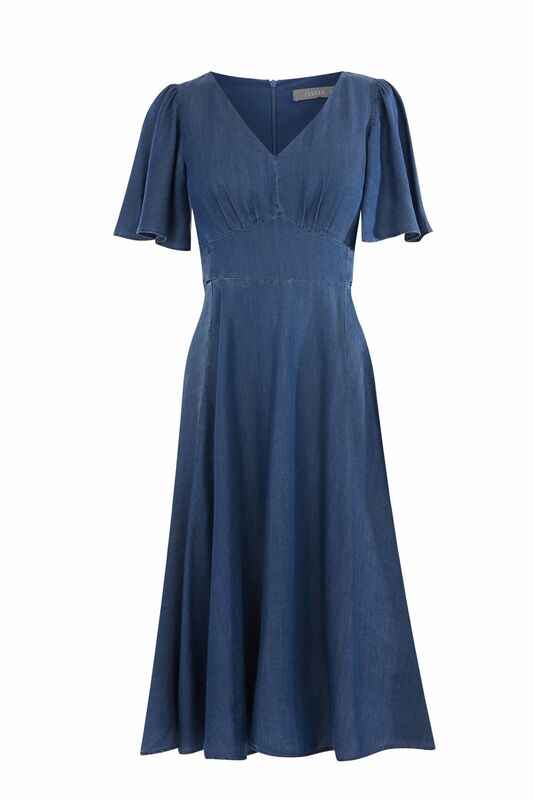 Denim is always a good idea and light weight denim fabric chambray is a perfect summer alternative to heavier denims and this sleeve and length is still feline with nipped in waist. A strategically placed knot below on this fabulous T shirt dress, will draw the eye away from any area you don’t want the eye to go to! Hope this has helped inspire a few purchases. 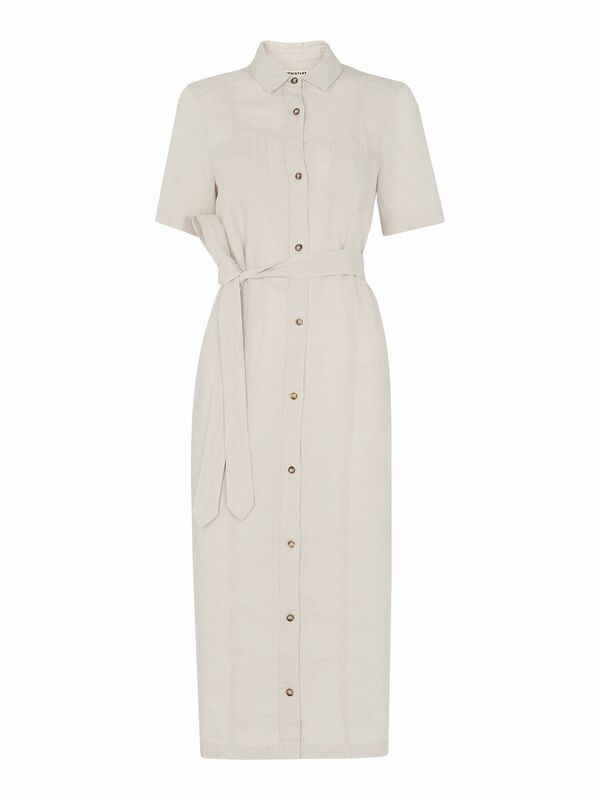 The heat is here to stay for a while so worth investing in these classic pieces.